Champcash is a mobile application networking company from Champion Network Pvt Ltd, Champcash is very famous app networking company in India it is the only one company in networking which is giving unlimited money without investment. You can earn money in many different ways with champcash. You can earn upto level 7 with Champcash app. Now Champcash launched worldwide in 238 countries. Champcash is a mobile app which gives you earning for downloading apps, watching videos, referring friends, shopping and more. You can earn upto level 7 with this app. 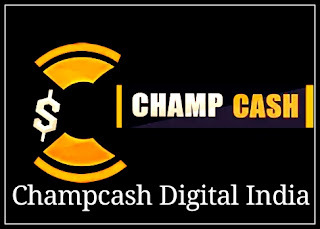 Champcash is basically a network marketing concept and most of your earning will depend upon how many people you are getting to join in this program. Champcash is an Indian based company named Champion Networks Pvt Ltd.
After completing this you will be asked to complete the challenges for activation, to complete the challenges you have to download 8 - 9 Apps in Champcash after installation you have to open for one minute each app you have installed earlier and it takes 20 minutes to complete activation when you done these you will be activated and you will receive $ 1 joining bonus. If you don not like the apps you can uninstall it after activation. A challenge is nothing but a set of tasks that you have to complete in order to receive payments. 1. Earn money by completing tasks, a task can be watching videos, downloading apps and more. Similar to challenges you can find hundreds of apps on daily basis that you can install and make money. You can see how many points you will be getting. If you do not have sufficient space in your mobile then you can remove after getting points. 2. 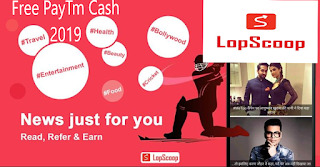 Earn money by online shopping, If you want to purchase something online from Amazon, Flipkart, Shopclues, Paytm etc then go through your champcash app. You can buy any item any price you like and earn commission. Buy through the champcash app and get commission when your product successfully delivered. Not only this if your referred friend purchase any product then you also get commission like this you can earn upto level 7. 3. Earn money by recharge or paying bills, you can earn by paying bills and recharge just go through the champcash app then pay bills and recharge in order to get commission. 4. By referring people with your refer id, referring people is the best way to earn money from Champcash. Eg : if A refers B, B refers C, C refers D, D refers E, E refers F, F refers G upto level 7 you can earn money. Not only this when your referred friend do online shopping, recharge, download and refer friends then you also make money. So there are 4 ways to make money from Champcash. You can withdraw your earning money direct to your bank account.